We have great 2013 Chevrolet Corvette research and reviews below so you can start learning about the new Corvette. We take our responsibility to furnish the most outstanding reviews written by Chevrolet automotive writers - it's just another thing that makes us the foremost Chevrolet retailer in Arlington, TX. This Chevrolet review article contains everything you need to know about the Corvette and it's specifications, mpg and more. We wish you the best of luck in your search for the perfect Chevrolet! Check out the 2013 Chevrolet Corvette side-by-side with versus similar autos like the 2013 Ford Shelby GT500, Nissan GT-R, BMW M3 and the Dodge SRT Viper, and you will realize that the 2013 Corvette beats out those vehicles in oodles areas. Browse the reasons see why! Craving even more trim & features information? Click here! 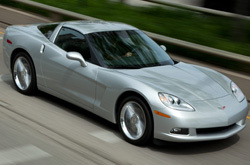 See inside the 2013 Chevrolet Corvette - view video here! 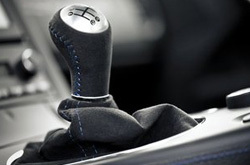 Vandergriff Chevrolet auto repair service in Arlington, TX is only a click away! Your Chevrolet deserves to be treated with the utmost respect - that means Chevrolet factory- trained technicians, accredited 2013 Chevrolet Corvette parts, and the sense of contentment that comes from a 12-month service work warranty. The certified technicians at our Chevrolet repair center in Arlington, TX will help your Corvette run its best for years. Whether you need us to take care of a effortless chore as an oil change, or take on hard to do Chevrolet service and repairs like transmission rebuilds, strut and shock repairs, timing belt replacements. For reliable Chevrolet repair in Arlington, TX, drive your Corvette to Vandergriff Chevrolet, where you can count on getting personalized service. Take a look below to view money-saving service specials.